Disney launched Where’s My Holiday? yesterday. It is FREE. It is a holiday themed new game based on Where’s my water and Where’s my perry. If you don’t have the two games, and want to know what the games are about and if you child will like them, this is a good one to try on, since it is free. 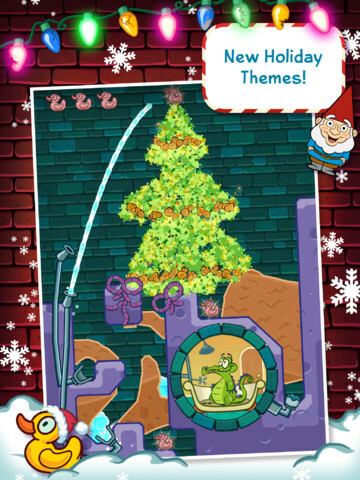 If you already have the two games, it is still a good one to have for the holiday season, since it has 12 exclusive holiday themed levels of play. It works on iPhone, iPod, and iPAD. If you want to know more about the game, please visit iGameMom’s reviews at HERE and HERE. It is a physics based game, kids learn and play at the same time. 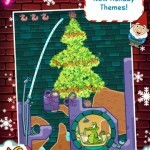 Both Where’s my water and Where’s my perry are on iGameMom’s Best Educational Apps for Kids list. Swampy and Perry need help – are you up to the challenge? It is also available on Google Play for Android HERE.